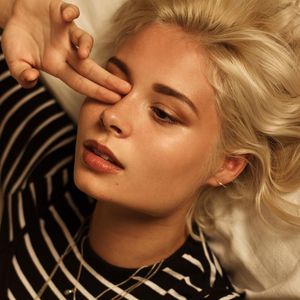 Nina Nesbitt (born 11 July, 1994) is a Scottish singer-songwriter and guitarist from Edinburgh, Scotland, United Kingdom. She is best known for her biggest hit single "Stay Out", which peaked at number twenty one on the UK Singles Chart in April 2013, becoming her first UK Top 40 single. She has released a number of EP's, her second EP, titled The Apple Tree, was released in April 2012 and peaked at number six on the iTunes download charts after receiving airplay on BBC Radio 1, and also peaked at the top of the iTunes singer/songwriter chart.